The once dominant Legs who have won eight BVI Basketball Federation Sr. Division League Championships, the last in 2014, were toppled by the Virgin Gorda Mystics, 92-77, who claimed their first title on Friday night at the Multipurpose Sports Complex. The Mystics were led by Championships MVP Killven Samuel, who followed up Stephon Caul’s game high 28 points with 27 points and 20 rebounds to go with four steals and three assists. Steve Parillon contributed another 15 points and seven rebounds. Jasin Rhymer Sr., led the Legs with 23 points. Dione Blyden chipped in 16 points, seven rebounds and four assists while Jomoiri Dagou finished with 15 points. 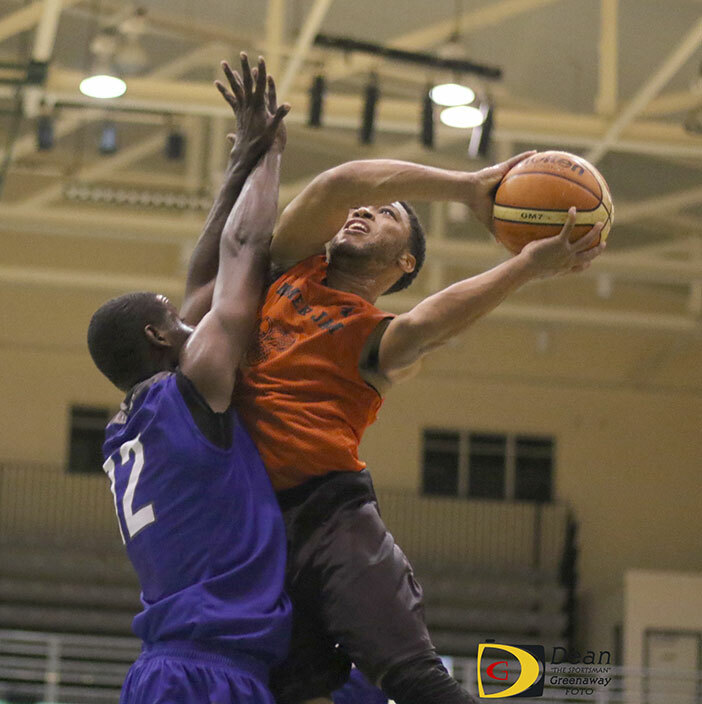 Devorn Furlonge pulled 12 rebounds to go with his eight points and St. Thoams’ Kitwarner Rhymer grabbed 10 off the glass and contributed six points to the tally. Samuel said the league was competitive overall and their championship series with Legs which they won 3-1, was very competitive. He said both teams were missing key players in the deciding game. Winning the title, Samuel said, means a lot to the Virgin Gorda Mystics. After collecting their championship rings, defending champions Splash Brothers fought hard to hold off the Warriors, 88-87, in the opener of the 5th annual Hon. Julian Fraser Save The Seed League on Saturday night, at the Save The Seed Energy Center. Ashield Frett sand five 3-pointers en route to scoring a game high 32 points and seven rebounds, to lead five Splash Brothers players in double figures. Shaheed Collins tossed in 14 points. Steve Parillion and Aubrey Daniel had 11 points respectively, with Parillion snatching a game high 16 boards for his double double, while Daniel missed the double with nine rebounds. Deananglo Sampson settled for 10 points and 10 rebounds. Ryan Alfred was the Warriors’ top scorer with 23 points. Juan Richards poured in 18 points and pulled down 14 rebounds. Nathaniel Malone dropped in another 15 points. In the Jr. Division, Jr. Stars whipped Beast Mode, 60-18. No stats were available. Officials cancelled Sunday’s games because of the threat of inclement weather. The league continues on Friday at The Save Seed Energy Center in Duffs Bottom.